I put some of my baking supplies in jars but I didn't want to paint chalkboard paint on them because they are vintage canning jars. So instead I made labels on my Cricut. Since I had the Cricut out I made a special label for my toolbox too. A certain someone was "borrowing" my tools and leaving them out in the garage so I just wanted to make it nice and clear. Heh. 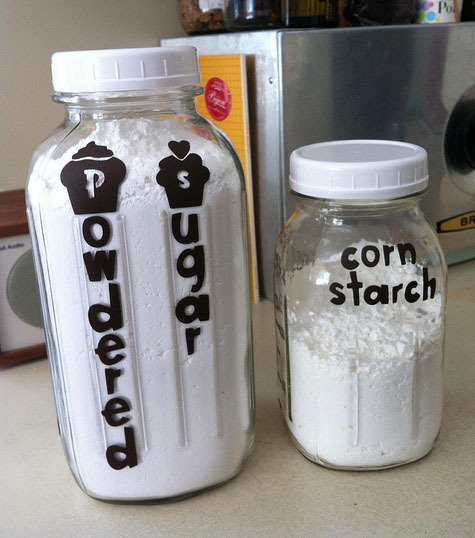 I like the font on the jars! So cute. What is the name of the Cricut font? 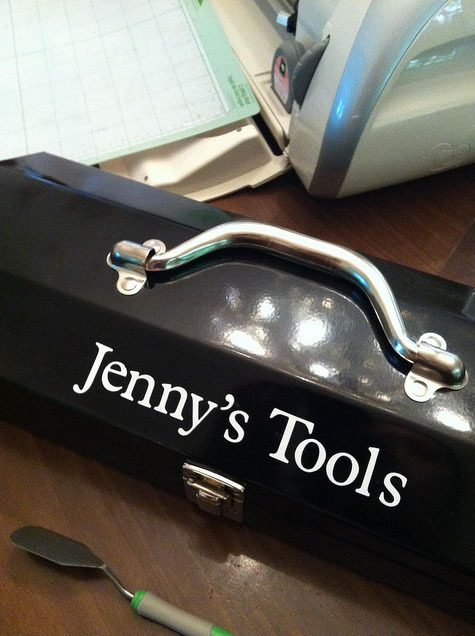 Jenny, I have my own toolbox too with my name on it, but your label looks much more professional. Nice!